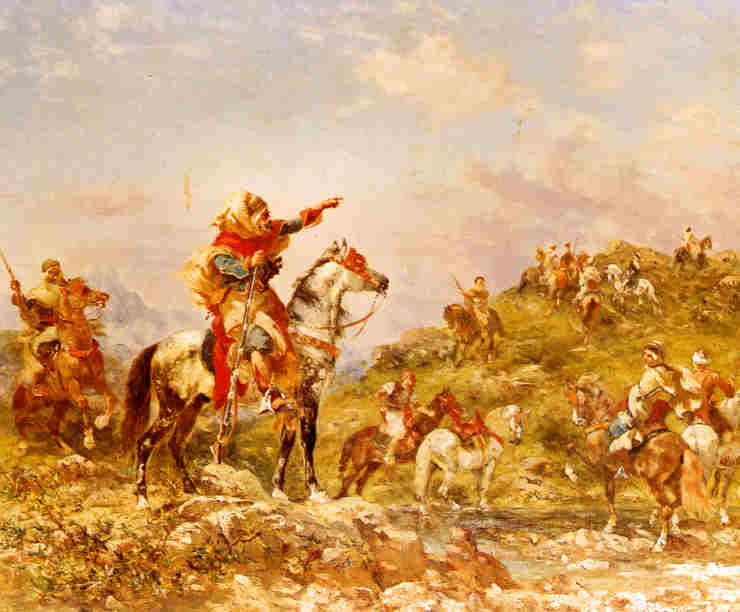 Astrology of War – Horary Astrology: Will I Get the Kingship of Africa? One of my interests in astrology is looking at horoscopes done at some time in history, because very often they have topics we simply do not encounter today. In the past, it was not uncommon for astrologers to be employed by the nobility or royalty. Part of the reason for this, I think, is that the upper classes, not unlike today, were constantly involved in political intrigue and warfare. If they could find an astrologer to increase their odds of winning, so much the better. Many upper-class individuals still employ astrologers today, though as you may imagine, this is kept under rather tight wraps. When Ronald Reagan’s astrologer went public with the name of her powerful client, that meant the end of the relationship between her and the Reagans. In this post, however, we are going to return to a happier time, at least for astrologers. The rest of society, as we will see from the chart, was not quite doing so well. This horoscope comes from a book on astrology titled On Reception, which was written in the eighth century A.D. by an astrologer writing in the Arabic astrological tradition, named Masha’ allah ibn Athari. He came from Basra, in modern day Iraq, and was one of the astrologers who created a horoscope for the founding of Baghdad. Baghdad is one of the few cities we know was founded at a specific time under appropriate astrological configurations, by the way. 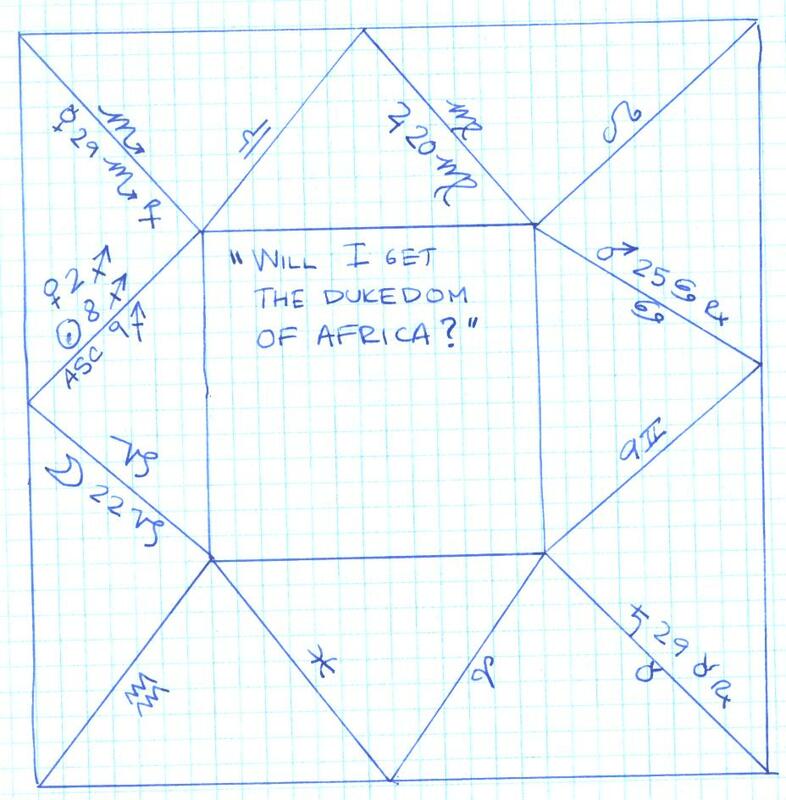 This is the horoscope of a horary question asked by a Duke who was promised a kingship in Africa by a king. There was only one small problem: the kingship was in the hands of a rebel Lord, and the Duke naturally wanted to know whether he would get the kingship and what would happen to the rebel Lord. The data for this question has been calculated by Robert Hand in his modern translation of this text. The closest date is December 1, 794 AD, at 4:00 a.m. Universal Time, in Baghdad. This time (yes, 4 am) proves that astrologers had to be on call 24/7. The chart that is in Robert Hand’s text is not a chart that I could reproduce at my computer. 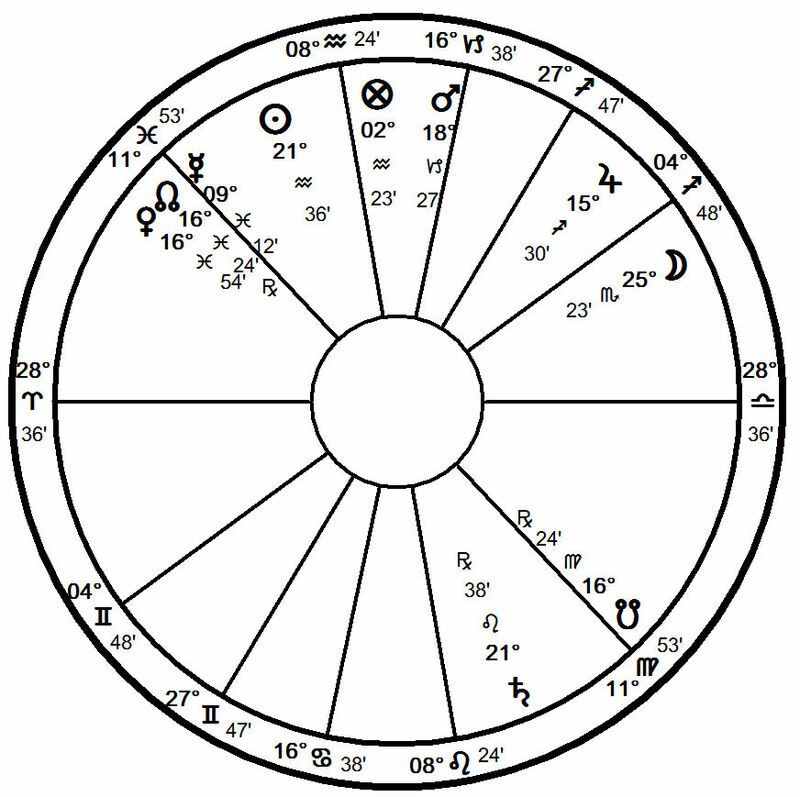 The further back we go into astrological history, the more difficult we find it to reproduce charts in old texts. They simply do not match up to our computer-based databases. If we get the Sun to match its position in the text, Saturn is out of place, and once we put Jupiter where it is in the chart, Mars has suddenly moved 15°. This may be because the old astrologers were not working with ultra-precise instruments, or perhaps there is more to this art than having all the planets in the right places. Somehow, Masha’allah still achieved a high degree of accuracy even though his planets seemed to be where they shouldn’t. Below is my very primitive (but very authentic-looking) mockup of the approximate positions of the planets. Let us take a look at what is going on with this chart. The Lord of the ascendant is Jupiter, which is in the 10th house of kingship. This, by itself, is not sufficient proof that our man is going to get the throne he desires. Rather, it shows that he is entirely fixated on obtaining the kingship. In Virgo, Jupiter is in its detriment. The Duke is not in a good situation; this is because Jupiter is in the sign of Mercury. And how is Mercury? Bad. It is in Scorpio, retrograde, and in the 12th house of imprisonment. Mercury is also ruler of the seventh house of open enemies. This makes us pause and step back to reconsider the Duke’s question. He is not exactly asking whether he will get the kingship; he has already been granted the kingship by the King. 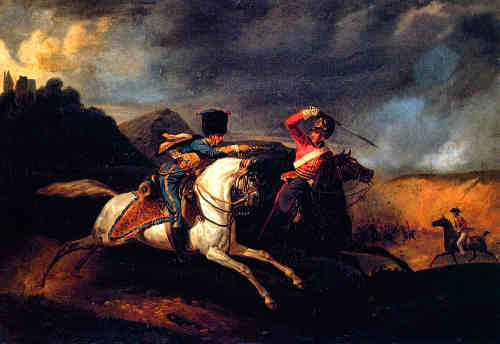 Rather, the Duke wishes to know whether he will defeat his rival. As a result, we are going to be less interested in the 10th house, and more interested in the seventh house. This will tell us who will emerge victorious. This is a close contest. However, while in the short term, there will appear to be a stalemate, the Duke will eventually win. Here’s why: Jupiter is in the 10th house, in the sign of Mercury. Therefore the rebel Lord has power over the Duke right now. However, Mercury is very weak in the 12 house, so he is in no position to act. What is worse, after spending a little more time relatively safe in Scorpio, Mercury will enter Sagittarius, which is Jupiter’s sign, and the rebel will fall into the Duke’s hands. In his analysis of this chart, Masha’allah also observes that the enemy’s troops were owed back pay, and by paying part of what they were owed, the Duke would sway them to his side. Since ones support, military and otherwise, is shown by the second house, the rebel Lord’s troops are shown by his second house, the eighth. Mars in cancer retrograde is in this house, and will shortly be opposed by the moon. The moon rules the second house, and therefore represents the soldiers themselves. Both the moon and Mars are very essentially weak, but in strong mutual reception. The troops are not in good shape, and neither is the rebel Lord’s money, which is also shown by the second house. At this point, Masha’allah does a little handwaving, and tells us that the troops are owed money by the rebel Lord, so by paying them, the Duke will effectively disarm the rebel Lord. It’s fairly hard to believe that Masha’ allah would be able to divine this from the chart alone, and I believe it is more likely that the Duke already had this information and related it to Masha’ allah. But, Masha’ allah was a great astrologer, so I would not cast aspersions on his skill unless I was sure of my argument.